Brazilian footwear brand, Ipanema, has once again teamed up with renowned designer, Philippe Starck, for the third installment in their ongoing collaboration. The 2018 collection features a fresh take on past models and introduces new ergonomics to reconcile optimized comfort and high elegance through six chic, cultured and minimal designs, including three new shapes and new colors. In addition, two unisex models are available up to a men’s US size 13. 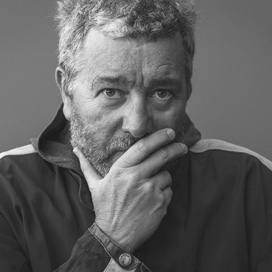 Starck created his collection with a bionic approach, learning from the body, from its movement to how it works, to design objects in harmony with human nature. The 2018 collection achieves this technical perfection with updates in both the soles and straps of the sandals. The soles feature an even softer formulation than seen in past styles to yield maximum comfort through the use of rounded edges and cleaner designs. The goal here is to use the least amount of material possible and allow the sandals to become part of the body. Focusing on sustainability, Ipanema with Starck was developed with 100% reclycable materials. To achieve Starck’s designs, Ipanema adapted its industrial process to one that is more manual and artisanal. The production process employs a proprietary injection technique to guarantee the product’s superior comfort and delicate quality. Every strap and sole is assembled by hand, allowing for a perfect fit. The Ipanema with Starck collection is the perfect balance between industrial production and artisanal savoir-faire.